He admits he sometimes got bored during his math class at West Point. He would find himself staring out the window, gazing toward a town just on the other side of the Hudson River, where, unbeknownst to him, his future wife lived. And little did he know, she would one day save his life. There is a certain “je ne sais quoi” that surrounds Renee and Greg McGlasker, their warmth and genuine joy nearly indescribable. When they look at each other, it is evident they are still giddy with love — something Renee says she felt since the beginning. “It doesn’t take very long to fall in love with me,” Greg laughs. “We had only been talking for two days when she first said she loved me.” He likes to tease Renee, but she said it felt natural to proclaim her feelings so early on. She’s good at listening to her instincts, a trait that would resurface in an extraordinary way decades later. But seven years into their relationship, things weren’t going as well as Renee, a Greenwich, Connecticut, native, had hoped — she was ready for marriage and a move south; he wasn’t. So she called the relationship off, saying maybe down the road they could try again. Renee smiles and nods as Greg recounts the words he would live to eat. True to their word, the couple parted ways: Greg moved back home to Mobile; Renee stayed in New York. There was no communication with each other for three years. During their time apart, Greg was diagnosed with chronic kidney disease and told he was in end-stage kidney failure. Doctors said he would be on dialysis within six months. But the lifelong athlete was able to stave off dialysis for another two years. All the while, and despite being in other relationships, Greg said Renee would come to mind every day. “I still loved her,” he says. And she loved him, too. But it wasn’t him she was looking to call in 2011; it was one of Greg’s sisters-in-law she wanted to reach. When a call to information proved fruitless, Renee dialed up Greg’s mother, hoping she could provide her long-ago friend’s number. Unlike their amorous hearts, Greg’s kidneys could not be fooled; they were deteriorating rapidly. 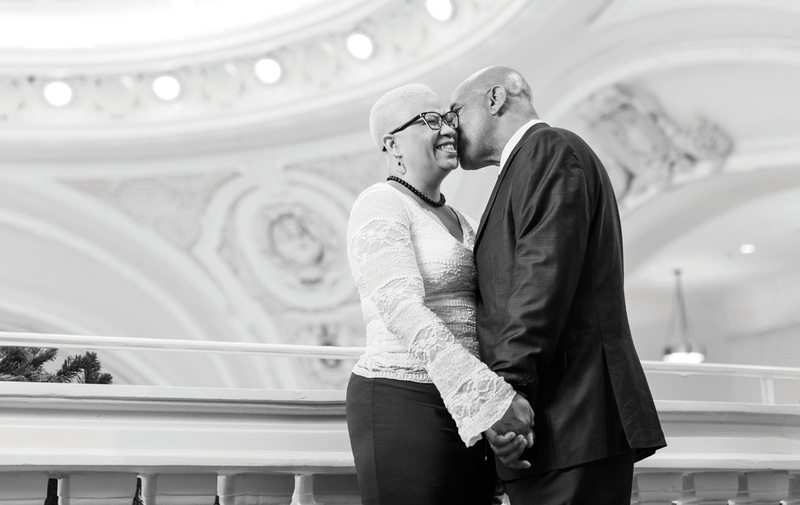 Despite Renee’s multiple offers to be tested as a donor, Greg refused, explaining he didn’t think she would be a match. But she listened to her instincts. “It was put on my heart to do it,” she says, grabbing Greg’s hand. “I did what God told me to do.” And without anyone’s knowledge, Renee proceeded with the donor matching process, which included copious lab, radiology and psychological screenings. On a chilly November morning, three days after the final interview, she received a call. “The nurse said, ‘I don’t know why or how, but you are a complete match, a one-in-a-million,’” Renee says, explaining that it is highly improbable for nonrelatives to match so thoroughly. And with whom did Renee share the news first? Greg’s mom. “Then I called him at work,” she laughs. On the morning of Jan. 21, 2015, Renee and Greg were wheeled into operating rooms, one prepared to give, one set to receive. Although they are newlyweds, married only since Dec. 1, 2018, Mark Rosser and Sandra Sammartino’s story goes back to 1991. Much like the McGlaskers, their relational paths cross, diverge and then rejoin — with a little help from Sandra’s mother. It all started one sunny day while Mark was tinkering around his sailboat. While at the dock, he met a German man who, after having struck up a casual conversation, mentioned to Mark that he knew of a nice, pretty woman that he thought would be quite suitable for him. Never having married and ready to give love a chance, Mark conceded. The woman turned out to be Sandra, whose mother was a German immigrant and friend of the man at the dock. The fortuitous encounter resulted in a three-year relationship. During this time, Sandra’s mom doted on Mark, a French teacher, and often called him her French knight. With her mom’s stamp of approval and with their connection naturally progressing, engagement seemed like the next step. “Mark wanted to get married,” Sandra says of that point in time. But she wasn’t ready, having been not too far removed from a tough divorce. Not able to come to a resolution, they called it quits. During the interim, Sandra’s mom often hinted that she believed her daughter should reignite the flame with Mark. Sadly, she would never witness this. On Valentine’s Day 2018, 24 years after the couple said their goodbyes, Sandra’s mom passed away. Understandably, Sandra’s grief was overwhelming, as was dealing with the memorial arrangements. But she was soon to stumble upon a familiar comfort. “When she called and asked if I was the florist, I said, ‘No, but I know this is Sandra!’” Mark recalls, smiling. After sharing the news of her loss with Mark, Sandra invited him to the memorial service. He showed up and he stuck around. He even wound up inviting her to accompany him to the symphony. A few months after reuniting, Mark asked her to marry him. Two things in the world have remained unchanged over the last 56 years: his unapologetic pursuit of her and her undeniable admiration of him. Anne and Champ Meyercord met as undergraduates at Birmingham-Southern College. After she first caught his eye — and after waiting an “appropriate” amount of time — he, going off a tip from a mutual friend, found Anne in the collegiate library. “I knew she spent a lot of time there,” he laughs. 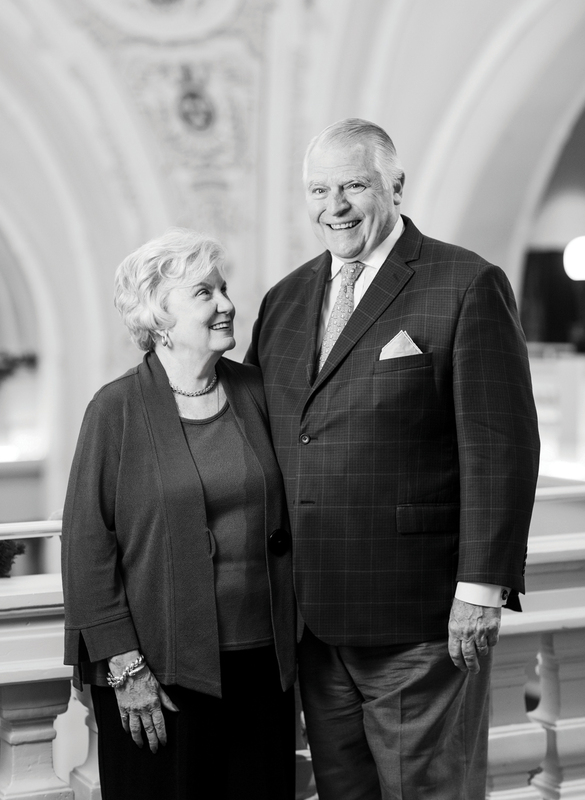 After a half-century’s worth of companionship and raising three children, to say the Meyercords have learned what makes relationships work would be a gross understatement. This wisdom garnered along the way has become an invaluable gift they eagerly pass on. Anne even compiled a spiral-bound book, appropriately titled “Golden Reflections for Newlyweds,” which she gives to each grandchild as they get engaged. Her hope for each new marriage is that they reach their fullest, most joyful potential. 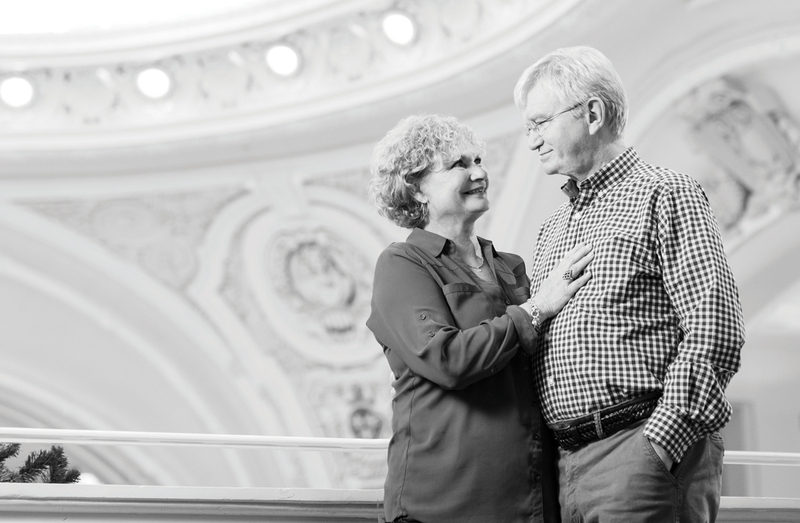 Although their Point Clear nest is empty, the couple still actively participates on the board of several local nonprofits — and they still make time to create new memories and traditions, such as regular date nights, dancing in the kitchen and traveling to their favorite city, Paris. Alone time is important, but so is quality time spent together. It is important to make togetherness relaxing, fun and stimulating. Life will just happen without thoughts and directions. Time moves too quickly to just let it fly away. Purposely work together toward unified decisions. Stay on top of your finances and put something back regularly. And save toward quality purchases rather than making quick, short-term buys. Life gets serious. Enjoy each other’s laughter. It will lighten your lives, homes and attitudes. Dealing with information for clarification shouldn’t be delayed. There’s nothing you can’t share, except harsh words. Make a toast to every day. Celebration enlivens life, it confirms your value. And take photos of your celebrations — they become a part of your life’s movie reel. Saying “please” and “thank you” should be standard words in your home. Manners convey respect, and respect matters whether in social, religious or everyday activities. Keep private conversations private and resist temptations to complain. You’ll forget it; others won’t. Look around and appreciate your family and friends. They embody unconditional love and joy.